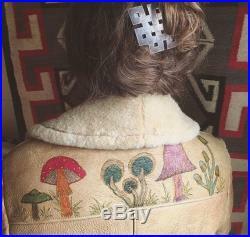 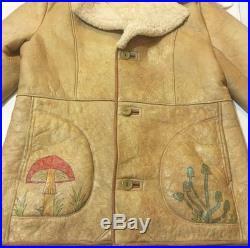 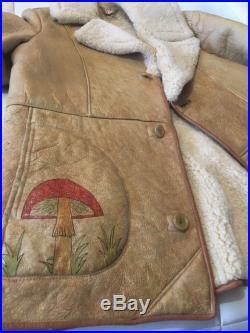 This is a beautiful australian made, vintage shearling jacket. 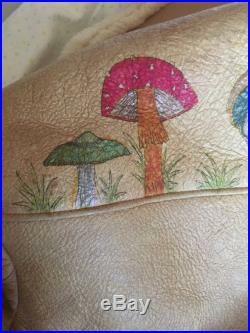 I embellished with a colorful display of mushrooms. 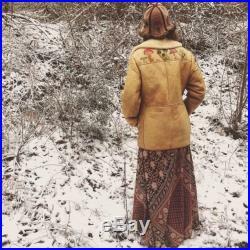 It's a large-extra large in women's sizing.